Varun and Sukha are drinking wine. They think about Sarpanch and Harak Singh’s words. Sukha says we are not able to drink this and says we have lost from a woman and says she showed your value and asks are you suitable to be called as a man. Varun says we have to find some way. Sukha asks him to wear bangles and saree and tell Sarpanch that he is a woman and can handle his baby. He says you are impotent for not been able to raise your own child and says when Soham grows up, he will called Harman as Papa. He calls him impotent and failure again. Varun gets angry and shouts Soumya. Neighbors tell Sarpanch that baby shall be handed over to Soumya else Varun will give the baby to adoption again. Sarpanch asks them about Varun and his family. Neighbors tell that he knows that the decision will not be in his favor so he didn’t come. He asks villagers who are in Soumya’s favour. Everyone raises their hand infavour of Soumya. Soumya thanks them. Panchayat Sarpanch gives the verdict that the baby shall be handed over to soumya. Varun comes there and says wrong decision. Sukha, Gurmeet, Sweety and others come there with him. Everyone looks at them. Sarpanch asks what is wrong in this and says we all know that a woman has more motherly love than a man and Soumya is mausi of this baby. Varun says everyone’s love is less infront of mother’s less, and if she is Maasi then it adds to the love. He says motherly love and maasi will be there if she is a woman. Soumya, Harman, Harak Singh are shocked. Sukha and Sunaina smirks. Preeto holds Soumya. Harman asks what nonsense. Harak Singh says I will kill you today. Sukha says it is not easy to shoot. Sarpanch asks Harak Singh to calm down. Sarpanch asks Varun to tell. Varun says she will have motherly feeling only if she is a woman, but Soumya is a kinnar. Everyone is shocked. 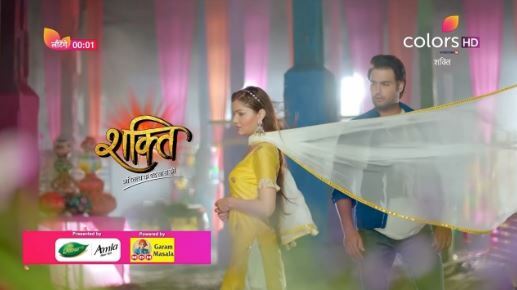 The post Shakti 4th March 2019 Written Episode Update appeared first on Telly Updates.